Tart cherries are loaded with important nutrients, but you'd have to eat an entire bag of them to obtain all of the benefits you can get by sipping the juice. The fruit also contains many antioxidants and anti-inflammatory agents, and its juice aids in cancer prevention and heart health and as an anti-inflammatory, which can help alleviate a variety of ailments like asthma symptoms and pain. In short, tart cherry juice offers protection against a host of conditions. Before adding tart cherry juice to your diet, however, be aware that one 8-ounce serving of tart cherry juice contains 140 calories and 25 grams of sugar. These excess calories over time may cause weight gain -- which comes with its own set of health problems -- if you don't cut back on calories elsewhere in your diet. Tart cherries, like all red fruits and vegetables, are rich in anthocyanins, a class of antioxidant phytochemical (a disease-fighting agent found in plant-based foods). Other fruits and vegetables in this class include raspberries, strawberries, beets, cranberries, apples, red onions, kidney beans and red beans. Phytochemicals give brightly colored fruits and vegetables their colorful hues. Anthocyanins, in particular, encourage healthy circulation, ensure proper nerve function and offer cancer fighting properties. 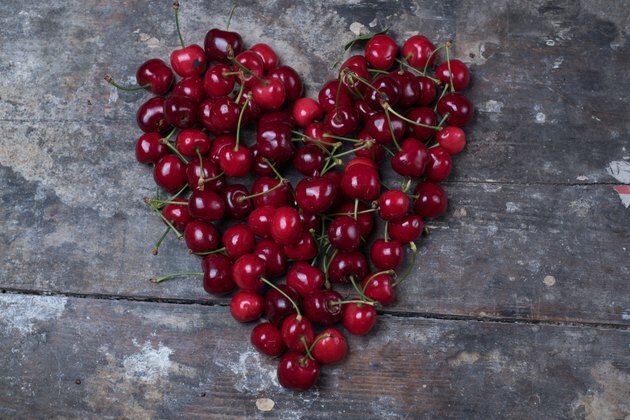 Consumption of tart cherry juice provides older adults greater protection against the development of heart disease, cancer and age-related cognitive decline, according to a research study published in August 2009 by the Journal of Nutrition. In the study, "Tart Cherry Juice Decreases Oxidative Stress in Healthy Older Men and Women," researchers Tinna Traustadóttir, Sean S. Davies, Anthoney A. 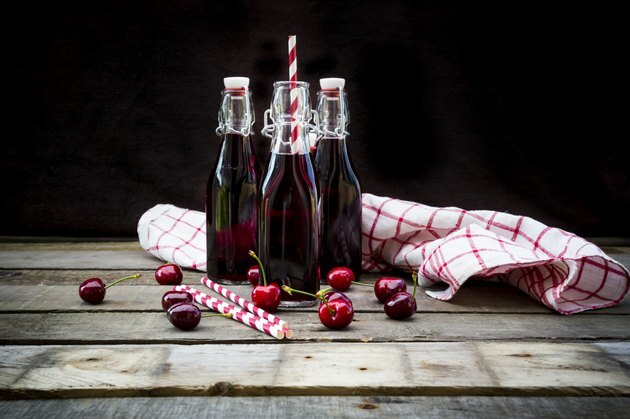 Stock and others investigated whether the consumption of foods high in anthocyanins is associated with improved health, in particular if the consumption of tart cherry juice (high in anthocyanins) improves the ability of older adults to resist oxidative damage. Oxidative damage may lead to an increased rate of death and disease in the elderly in response to infections, and diseases such as atherosclerosis, cancer, diabetes and Alzheimer's disease. "The roles of anthocyanin pigments as medicinal agents have been well-accepted dogma in folk medicine throughout the world, and, in fact, these pigments are linked to an amazingly broad-based range of health benefits," says Mary Ann Lila in an article titled "Anthocyanins and Human Health: An In Vitro Investigative Approach" published in a 2004 issue of the Journal of Biomedicine and Biotechnology. "For example, anthocyanins have historically been used in remedies for liver dysfunction and hypertension; and bilberry (Vaccinium) anthocyanins have an anecdotal history of use for vision disorders, microbial infections, diarrhea, and diverse other health disorders," wrote Lila, who currently serves as director of North Carolina State University's Plants for Human Health Institute. Clinical research trials later supported the anecdotal and epidemiological evidence of the use of anthocyanins for therapeutic purposes, the researcher went on to say, noting "some reports suggest that anthocyanin activity is potentiated when delivered in mixtures" -- that is, a juice blend may provide even greater results. Carcinogens, harmful substances in air, water and foods, may damage the body's cells, triggering changes that may lead to cancer. Tart cherry juice offers more than anthocyanins; it is loaded with three disease-fighting chemicals that may be beneficial for halting cell transformation (that often leads to cancer). These powerful chemicals are perillyl alcohol, limonene and ellagic acid. Citrus peel offers limonene and berries offer ellagic acid, but only cherries offer all three chemicals. They are particularly protective against cancers of the breast, lung, liver and skin. "Anthocyanins have demonstrated marked ability to reduce cancer cell proliferation and to inhibit tumor formation," Lila said. "Fruit extracts with significant anthocyanin concentrations proved to be effective against various stages of carcinogenesis." Though the perillyl alcohol does show promise, according to the American Institute for Cancer Research, researchers still have much to learn about dose, methods of delivery, as well as how to identify who might benefit most. HOW MUCH TO CONSUME FOR THIS BENEFIT: Estimated two or three servings of tart cherry juice per day. Tart cherry juice contains one of the most powerful antioxidants that exists, quercetin. Among other functions, quercetin prevents oxidative damage caused by free radicals from damaging low-density lipoprotein (LDL or "bad" cholesterol), according to a study published in European Review for Medical and Pharmacological Science in 2013. When LDL cholesterol is oxidized, it is more likely to adhere to artery walls, forming plaque which contributes to heart attack and stroke. Numerous studies cite the effectiveness of quercetin in reducing blood pressure, but also call for more research on the correlation between consumption of the flavonoid and such health benefits. "In one study, intake of high levels of quercetin was associated with reduced incidence of type 2 diabetes," note authors of a 2013 study published in International Journal of Preventive Medicine. "In vitro studies showed different effects of quercetin as anti-inflammatory, antioxidant, anti-clotting, and vasodilatory properties. 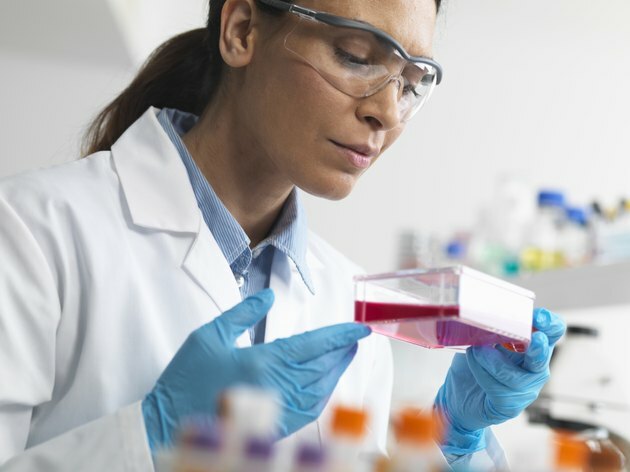 But, human and animal studies did not have consistent results, which may result from different physiology of species and also different levels of oxidative stress and inflammatory status," according to Maryam Zahedi, Reza Ghiasvand, Awat Feizi, Gholamreza Asgari and Leila Darvish in the article "Does Quercetin Improve Cardiovascular Risk factors and Inflammatory Biomarkers in Women with Type 2 Diabetes: A Double-blind Randomized Controlled Clinical Trial." One study tested the efficacy of a tart cherry juice blend in preventing the symptoms of exercise-induced muscle damage in 14 male college students. The dosage was 12 ounces of a cherry juice blend or a placebo taken twice daily for eight days with a series of elbow flexion contractions performed on the fourth day of supplementation. Pain and strength loss were significantly lower in the cherry juice trial versus placebo, according to "Efficacy of a Tart Cherry Juice Blend in Preventing the Symptoms of Muscle Damage" published in a December 2006 issue of the British Journal of Sports Medicine by researchers D.A. Connolly, M.P. McHugh and O.I. Padilla‐Zakour. "Most notably, strength loss averaged over the four days after eccentric exercise was 22 percent with the placebo but only 4 percent with the cherry juice. These results have important practical applications for athletes, as performance after damaging exercise bouts is primarily affected by strength loss and pain. 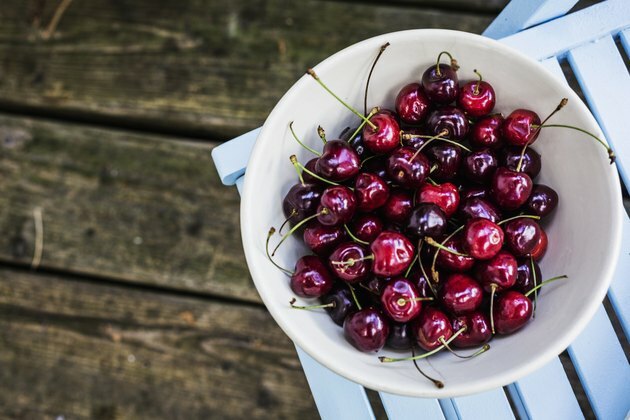 In addition to being an efficacious treatment for minimizing symptoms of exercise induced muscle damage, consumption of cherry juice is much more convenient than many of the treatments that have been presented in the literature," the researchers say. HOW MUCH TO CONSUME FOR THIS BENEFIT: 10.5-12 fl oz. twice daily. In related findings, marathon runners who consumed 8 ounces of tart cherry juice twice a day for five days prior to a marathon, on the day of the marathon and for 48 hours after the run experienced less muscle damage, soreness, inflammation and protein breakdown than runners who consumed a placebo, according to research published in the December 2010 issue of the Scandinavian Journal of Medicine and Science in Sports. 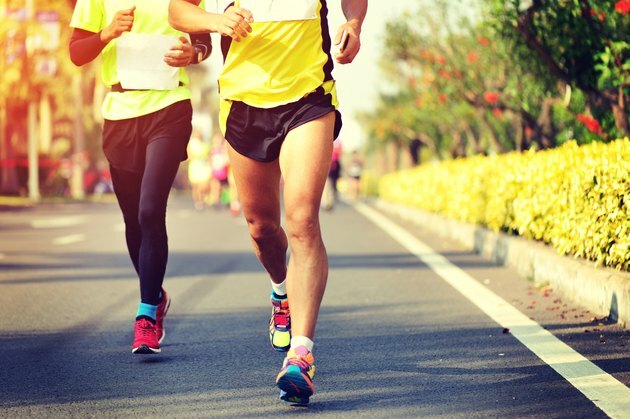 Runners who consumed 11 to 12 ounces of tart cherry juice twice daily for seven days prior to a long-distance relay and during the 24 hours of the race reported significantly less pain following the run than those who consumed a placebo, according to another study, published in a 2010 issue of the Journal of the International Society of Sports Nutrition. HOW MUCH TO CONSUME FOR THIS BENEFIT: 11-12 fl oz. twice daily. Drinking a glass of tart cherry juice in the morning and the evening may be a better and a safer way to treat insomnia and add nearly 90 minutes of sleep to your night, according to researchers at Louisiana State University. Tart cherries are a natural source of melatonin, a hormone that helps regulate the sleep-wake cycle, say Frank L. Greenway, MD, director of the outpatient research clinic at the LSU Pennington Biomedical Research Center, and Jack Losso and John Finley, professors in the School of Nutrition and Food Sciences at the university's Agricultural Center in their study, "Tart Cherry Juice Increases Sleep Time in Older Adults with Insomnia" presented at Experimental Biology 2014. HOW MUCH TO CONSUME FOR THIS BENEFIT: 8 fl oz. twice daily. Drinking tart cherry juice may be less dangerous than over-the-counter medications typically used to relieve inflammation. While regular use of anti-inflammatory medications, such as aspirin, can cause kidney damage, heart failure and gastrointestinal problems, according to Oregon Health and Science University, the potential side-effects of tart cherry juice include abdominal discomfort and diarrhea, blamed on its relatively high sorbitol content, according to Baylor College of Medicine. Drug interactions with quercetin are also a concern: "Quercetin is also an inhibitor of CYP3A4, an enzyme that breaks down many commonly prescribed drugs in the body; therefore, quercetin should not be taken with drugs that depend on this enzyme for metabolism," say Abigail J. Larson3, J. David Symons and Thunder Jalili, authors of "Therapeutic Potential of Quercetin to Decrease Blood Pressure: Review of Efficacy and Mechanisms," published in the January 2012 issue of Advances in Nutrition. "Because many flavonoids were found to inhibit platelet aggregation (via inhibition of thromboxane A2), it is also possible that pharmacological doses of quercetin could increase the risk of bleeding when taken with anticoagulant drugs," the researchers say. The 140-calorie per 8-ounce serving juice may also affect your weight. If you're looking to lose some fat, stick to eating the fruit rather than drinking the juice. In addition to the chemical properties of their juice, cherries also contain dietary fiber, which is linked to lower risk of colorectal cancer, according to the American Institute for Cancer Research. "Consuming high amounts of dietary fiber may also help people control their weight by giving a feeling of fullness," according to AICR. "That is important to cancer risk because excess body fat increases the risk of seven cancers." Consult your doctor before starting any weight-loss diet. And if weight gain is an issue, limit your intake of tart cherry juice to 4 ounces per day to aid in overall calorie control. 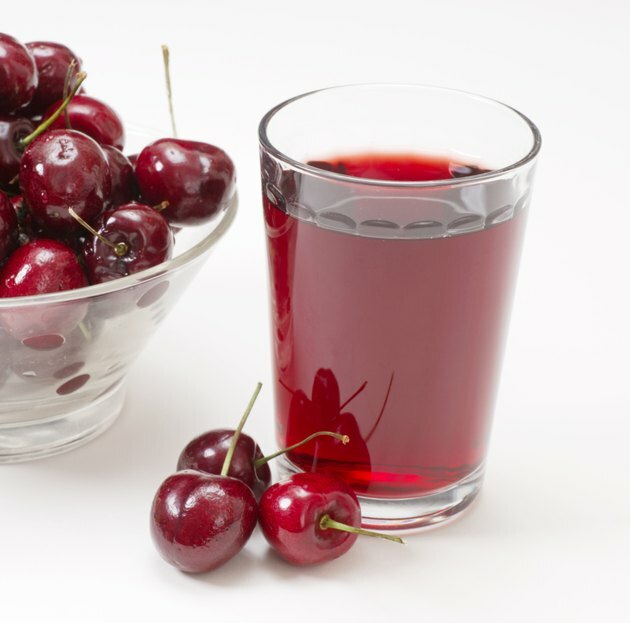 Advances in Nutrition: "Therapeutic Potential of Quercetin to Decrease Blood Pressure: Review of Efficacy and Mechanism"
PubMed - "Efficacy of a tart cherry juice blend in preventing the symptoms of muscle damage."